Writing can be hard, hard work. While the idea in your head may be clear and vivid, trying to capture it can be a frustrating experience. At times, it may feel so difficult that you may start to doubt yourself. You may even abandon your writing project before it is finished. Research by Angela Duckworth from the University of Pennsylvania shows that grit may be the most important factor determining your success. Perhaps even more so than intelligence or talent. Grit is about resilience in the face of failure and adversity. It is also about having consistent interests over time. Many of us, her research shows, tend to give up at the first sign of frustration or confusion. And ironically, once people reach a certain level of proficiency in a given skill, they tend to stop putting in the work needed to reach even greater levels of mastery. We can learn the value of grit from J.K. Rowling. Her first book Harry Potter and the Sorcerer’s Stone was rejected by twelve publishers. And being able to stick with a project consistently over time? She got the idea for Harry Potter in 1990, and finished her last book in 2007! Self-control is the ability to control your behaviour and inhibit impulses. It allows you to delay gratification and manage distraction. In the popular marshmallow experiment, children are told that if they don’t eat the marshmallow they’ve been given, they’d get two marshmallows instead of one after about 15 minutes. Researchers found that the children who were able to delay gratification and resist the urge to immediately eat the marshmallow, when interviewed years later, were more likely to get better marks, be more popular, earn higher salaries, and have a lower BMI, and were less likely to abuse drugs. You can see how this relates to writing. We know that to write well, we need to write consistently. We actually have to write. We need to be able to resist the many temptations and distractions that threaten to pull our attention from the task at hand. The good news is that there are ways that show you how to keep writing and develop the perseverance you need to follow through to completion; ways that help you cope with the challenges of the writing process, such as rejection, fear, frustration and uncertainty. Here are some suggestions that will help you persevere and finish your writing projects. Simon Sinek, author of Start With Why, advises that when you have a clear sense of your purpose, cause or belief, you can wake up feeling inspired. Having a clear idea of the underlying “why” for doing the work helps when you hit difficult times. As Duckworth’s research shows, grit is related to passion for our long-term interests. Often we get so caught up in the “how” of a project that we lose sight of “why” we’re doing it in the first place. Why do you choose to write, day after day, when there are other things you could do with your precious time? Is it to share your experience and learnings to help others cope better with their challenges? To market a business that you believe could make a positive difference in people’s lives? Identifying your “why” can help you get to completion with your writing projects. 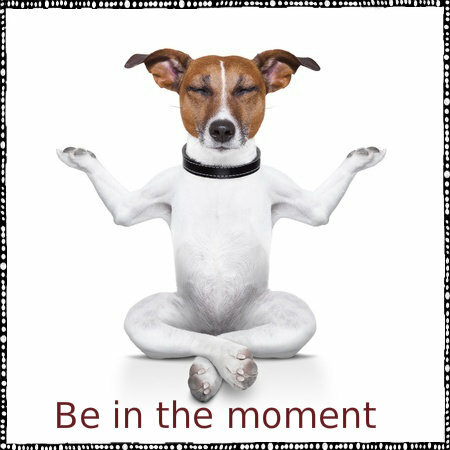 Mindfulness is the practice of paying attention to the present moment with an attitude of acceptance. So many of us go through our days on autopilot. When you practice paying attention to what you are doing in the present moment, you are more likely to notice thoughts or feelings that knock you off-track, and can deal with them right away. Particularly relevant here is that practicing mindfulness helps you develop self-control by inhibiting your impulses. So you are less likely to procrastinate. One way to develop mindfulness is meditation. If meditation doesn’t feel right for you, there are many ways to integrate mindfulness exercises into your day. It turns out that when we experience challenges, our attitude towards ourselves determines whether or not we’ll reach our goals. An attitude of self-compassion—kindness towards yourself in the face of challenge or failure—makes it far more likely that you will succeed. Most of us are very hard on ourselves, and while we may think this is helpful, it turns out that it is not. Being critical and judgemental when you slip up makes it harder for you to get back on track. Changing where you focus your attention can help you stay the course and avoid procrastination. Research has shown that focusing on the end goal or on the next step can have different effects at different stages of the process. At the beginning of a process, it may be daunting for you to focus on the end goal. Fear of failure and worry about what people will think of your work can overwhelm you. It may be better to focus on the process—on your next step. As you get closer to the finish, focusing on the end may give you the additional motivation to see you through. Shifting your focus away from observing and monitoring your performance can also help free up your writing. Watching yourself in action and wondering whether you are good enough is likely to make it harder to write. Instead, practise shifting your focus to how you are benefiting your readers. How are you hoping their lives will be different after reading your work? What is the essence of the message you hope to communicate? 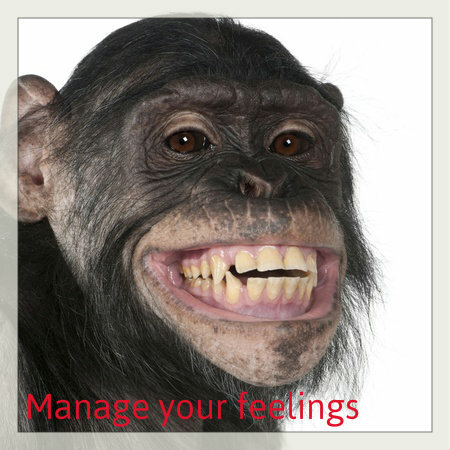 To follow through with your writing, you need to be able to regulate your emotions. Especially your feelings related to your writing. You are more likely to procrastinate if you’re in a bad mood. But you’re also likely to procrastinate when in a good mood if you have negative feelings about your writing. Hillary Rettig believes that the difference between prolific and underproductive writers is the level of procrastination-producing emotions they experience, such as shame, guilt, disappointment and fear. Psychologist and writer Mary Pipher in her book Writing to Change the World suggests finishing your writing for the day on a high note. That way, you are more likely to feel good about returning to it the next day. Monitor and celebrate small wins. Nothing is more motivating than progress. Write about your negative feelings and associations towards your writing. This has been shown to be effective in helping people process negative emotions. And it helps get you get started on writing. Experiment and build a list. Keep it handy. You’ll probably need it sooner than you think. Carol Dweck in her book Mindset: The Psychology of Success shows how our beliefs about our abilities impacts how we learn. 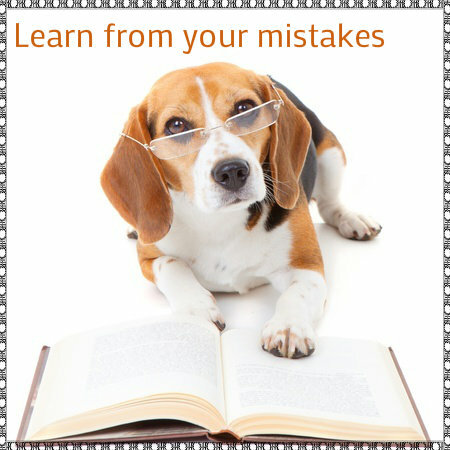 When you approach your writing with the goal of getting it right, you’ll see mistakes as a sign of failure and as a reflection of an innate ability. You’ll struggle to share your work with others for feedback. But if you write with the goal of getting better, you’re more likely to welcome feedback, and challenges that will help you improve. 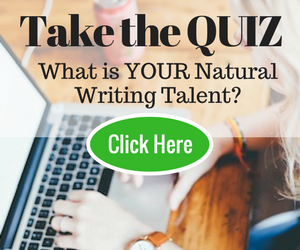 You’ll see your writing ability as something to be developed through practice and effort. This will also help you reframe experiences of rejection and perceived failure as learning experiences, so that you recover quickly, and focus on the next step. 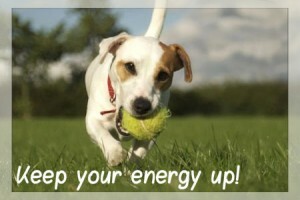 We need energy to exert control, and the energy needs to be continuously replenished. Blood sugar levels regulate the ability to exercise self-control. With low blood sugar, you find it harder to concentrate and control negative emotions, and resort to management strategies like procrastination. Research also shows that lack of sleep impairs the body’s ability to process glucose and, as a result, lowers self-control. Self-control diminishes throughout the day, so it may be useful to schedule challenging writing tasks first thing in the morning. I have to add a quick disclaimer. Sometimes, not following through is a good thing. There are times when we end up doing things where the motivation behind the action is confused. Maybe it is the “right thing to do,” what is expected of you. Pressure from others can start you down a road that feels neither fulfilling nor meaningful. You may also have a tendency to take on too much at one time, or put too much pressure on yourself as a result of perfectionistic tendencies. If what you are doing has a detrimental effect on an important aspect of your life, such as your relationships or health, the most adaptive response might be to find ways to walk away from it without completing the work. I hope these suggestions help you persevere through the tough times to finish your writing projects. Each time you complete a project, you build trust in yourself and your capabilities. This makes it easier to keep going the next time you hit a period of difficulty. Most of us believe that we can make changes by reading alone. Ideas and strategies need to be implemented consistently to have an impact. I find that strategies work best when you find ways to integrate them into your daily routine. Take a look at your day and see where you can integrate some of these practices. What helps you persevere when things are tough? Share your tips and experiences in the comments! Alison Breen is a Psychologist and Coach who helps people actualize their ideas and potential in order to thrive. Sign up for her FREE confidence-building action plan to make your ideas happen. Alison, this is great advice. I sometimes get stuck and can use all the available help I can get. Great Sharon, I’m so glad you found it helpful. Thanks so much for sharing your thoughts! Discipline, discipline, and more discipline. Writers that succeed don’t encounter immediate success. Instead, what they find is that they can push through when others quit. Absolutely RD! But wow, it can be hard to stay the path at times, can’t it? What helps you keep disciplined? Oh no, Weston, that’s so annoying. There have been problems with the comments disappearing. I’ll follow up and see if it can be retrieved. Really loved reading it. I can relate it to myself. 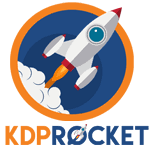 I am running an education startup where I need to manage almost everything on my own. It is only the time that is making writing difficult day after day. I am trying to plan the time but most of the time I am failing to manage. As an entrepreneur, it is always difficult to manage everything on your own, you know, but at the same time we need to think of the expenses. I am really trying hard to focus and settle one particular time for writing each day and also setting up a target, lets see if it makes things manageable and better in coming days or not. Gald you found it helpful Susan! It can be very hard when you can’t schedule consistent time to write and build momentum, particularly when you have multiple competing priorities. Perhaps the place to start would be to do a task and time audit of your week, looking at what you do and when, and look at when it would be most likely that you could prioritize your writing. Let us know how you get on! Thanks for sharing your thoughts and experiences. I’ve ALMOST had situations like that where I wanted to give up, but luckily I still was able to push on. Points 1 and 2 are really important. I truly believe that if you know your reason for why you’re writing, it’ll be a little easier to write your content. Also, point #7 is highly underrated. It’s too difficult to write great content when your energy levels aren’t high at all. That’s why I’d say meditate and all that stuff to be in your best frame of mind. Great Andrew! Thanks for sharing your thoughts. So glad you have found a way to push through without giving up. If it happens to you, could you please let us know? Just go to Contact in the navigation bar and send us an email about what happened. Why do people keep mentioning Rowling’s “12” rejections like that actually means something? Would to be picked up by the 13th publisher. Writers face THOUSANDS of rejections. This tale of a dozen is unrealistic and misleading. Good point jp! For the rejection phobes like me who would struggle to keep going after only a couple of rejections, 12 seems like a lot. But you’re right, people have pushed through so many more. Do you have your own experiences of keeping going after rejections? What helps you? Mike, sorry I wasn’t able to reply to your comment directly so hope that you see this. Interesting isn’t it Mike? In my own experience anxiety has been the key driver of experiences of writer’s block. Alison Brook Wood’s research is about the phenomenon of performance anxiety and choking (performing poorly under pressure) and it is definitely related to writer’s block. What I find so interesting is that it is usually our own beliefs and expectations that create the anxiety, rather than the experience itself (I write about that more here http://goodlifezen.com/struggle-perform-pressure/). Sian Beilock has also done some great research. Thanks for your thoughts and observations! Wonderful post. I teach middle school students with learning disabilities. Not only is this article relevant to my personal life, I can use many of the ideas/concepts with my students. Such inspiration! Mikey, I am so glad that you found it useful! Appreciate the feedback! Alison, I can’t thank you enough for writing this article. Every bit of it was extremely helpful – this is one I will actually be printing out to refer back to again and again in the future when I need reminders. Although every aspect has been a struggle for me at some point or another, probably the hardest one for me to deal with right now is my emotions in connection with writing. I keep looking at my prose and finding every possible fault, and instead of humbly processing it as just an area to grow, I expect myself to be capable of better than that and berate myself inside, tearing myself down for not being able to produce at a level of what I read elsewhere. I will try your tip to start by just writing down my negative emotions towards writing and why I’m feeling that way – hopefully it’ll help me overcome the hurdles and get on with actually getting better at writing! Appreciate you taking the time and thought to put into this marvelous post. Kimmy, thank you so much for the feedback. I am SO glad that you find it encouraging. That perfectionism that you are speaking about is such a killer, I know it well! Becoming conscious of the expectations you have of yourself when you are writing and being more accepting out yourself will go along way to helping you keep going. When I was going through a particularly rough time I would sit with my paper and pen next to me and each time I noticed myself want to get up, I would switch to writing in ‘my new mentor voice’ on the paper next to me. Things like “it’s ok to struggle, everyone struggle with writing at times” and questions like “are you expecting too much of yourself right now?”. Last tip. In hindsight I realized that when I got stuck and was hard on myself, what I actually needed was help. But I had expectations of myself that I needed to know everything and do it alone and so that wasn’t something I realised easily.So check whether that is true for you too. Good luck! Please let me know how else I can help you. I am on a mission to help people overcome these fears and doubts which keep us from expressing our ideas and thoughts. You create strucking points here Alison. #7 hit me in the head.. ouch!! Sometime I over do my desire to learn more and to be more skillful writer. I did not realize that luck of sleep will lessen our creativeness and the energy level slowly goes down. Again I am learning here big time Thanks..
Aren’t we all, Fel! Yes, it’s funny, we think it is better to just work flat out without realising that eating and sleeping will make us more effective and productive in the long run! I am trying very hard to be more mindful, but my mind and soul sink into cesspools of despair anyway 🙁 I need to be gentler towards myself and others…. Kiito, that sounds like a really tough experience. It does sound like you could do with a lot of kindness right now. Mindfulness is about noticing what you are experiencing, in the present moment, without judgement. So you’re not doing anything wrong as being mindful is not about always feeling good. Once you notice what your experience is (without needing to avoid uncomfortable feelings like most of us do), then you have more choice about how you want to respond. Tara Brach (http://www.tarabrach.com/) has some lovely free guided meditations that you can do to help yourself be more self compassionate. This is a wonderful resource, Alison! I love #3 the most, for myself. But your advice is powerful and very encouraging, start to finish. Thanks for taking the time to put this all together in one place. Such a pleasure Jim! Thank you for taking the time to read and comment. So glad you found it helpful. I imagine that anxiety is highly correlated with “writer’s block” and wonder if there is any research into the connection? I will look into the matter and contact her to ask. Overall, managing stress is critical to consistent writing–at least in my humble opinion. Thanks for sharing your thoughts and observations, Mike. In my own experience anxiety has been the key driver of experiences of writer’s block. Alison Brook Wood’s research is about the phenomenon of performance anxiety and choking (performing poorly under pressure) and it is definitely related to writer’s block. What I find so interesting is that it is usually our own beliefs and expectations that create the anxiety, rather than the experience itself (I write about that more here http://goodlifezen.com/struggle-perform-pressure/). Sian Beilock has also done some great research. Simple and concise. I will use that in the future–and reference you–Of course! Silencing the negative thoughts is an ongoing process but worth exerting effort to achieve. Again, thank you for the post and reference to other researchers. Have a great day. You’re so right, dealing with those negative thoughts is an ongoing process. Most of us have practiced them for most of our lives so they are completely habitual! Changing those habits requires time, effort, patience but most of all conscious attention. It can be done! So glad you found the other post useful, and thanks again for sharing your thoughts. We all learn from each other! Something I keep on forgetting is compassion for myself. Thanks for reminding me! Whew Mathilda, I think that is one we all could do with a lot more of! I find it can be useful to pre-empt myself to be aware of that attitude before starting to write, especially if it is something that is likely to evoke a lot of self-criticism and judgement. Post-its are great for this! Good luck and thanks for sharing your thoughts. Wonderful insights, Alison. The reminder I needed was to celebrate small victories along the way. Writing is such a lonely, solitary process that this imperative to survive. Thanks! Absolutely Marcy. And we are so often focused on what needs to be done next that we don’t even stop for a moment to enjoy that feeling of accomplishment. It is such a re-training of attention process, but can make such a difference for motivation. I imagine a large part of this anxiety is attributed to “writer’s block.” The need to persevere forward writing on a routine basis and educating one’s self is critical toward managing stress/emotion. Thank you for the post. Very informative. Thank you for such an inspiring post, Alison! 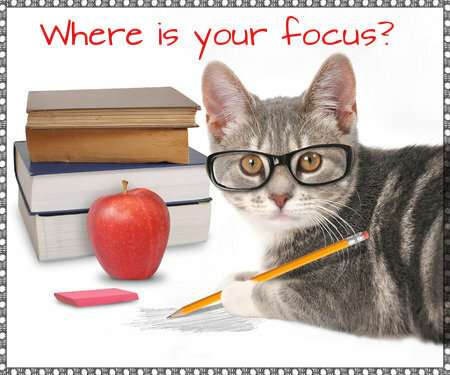 I especially love what you’ve written about changing one’s focus depending on where in the WIP one is. I think this alone will help me get out of so many ruts! Oh great Sophie, I’m so glad that you found it inspiring! I found that so useful when I came across it too. I realised that every time I sat down to work on my phd dissertation I would be focused on the HUGE amount of work ahead of me. No wonder it seemed daunting! Thanks for sharing your thoughts. I hope you have a productive week! It is so funny (and annoying) how that happens, isn’t it Manfred! I hope that remembering your why will help you regain you passion and help you move forward. Why is it that you write? Thanks for those thoughts Iva, appreciate you sharing them. It makes such a difference to find things that help you manage the anxiety that leads to procrastination and avoidance. Glad you’ve found something that works for you. Thanks for reading Mohanraj, I hope that it helps you get your articles done for the week. Thanks for sharing your thoughts, Ntathu, and appreciate your feedback about the post! Sorry Iva, I see my reply to you is lower in the comments. Please have a look! Thanks for sharing your thoughts! Awesome aren’t they? Afraid I can’t take the credit for them (as much as I would like to), they are Vinita’s handiwork! The images are sooo cute! Wonderful post! I really love it. I especially cherish the focus on self-compassion. Thanks Martin, so glad it was helpful. I think changing our attitudes towards ourselves may the single most important thing we can do. It can be hard when we first notice how hard we are on ourselves (I know that it was quite disturbing for me) but developing this awareness is so important to being able to shift into a more constructive way of relating to ourselves. It can seem silly and fake at first but over time it will feel more and more comfortable! The research shows how far reaching the benefits of this change are. I love this – just what I needed on this here Monday morning! I’m currently teaching myself to look at things in stages. I’m guilty of visualising the end goal and then find myself completely overwhelmed by the project, so I’m beginning to break things down and so far it seems to be working. Great Lizzie I am so glad that is working. I also find it really works to break big projects down into manageable chunks and keep focused in the next step. Glad you found the post useful! Thanks for sharing your thoughts. If you try to leave a comment and you can’t get it published, do please contact us (just go to the navigation bar and click on ‘Contact’) to let us know. We still seem to be having problems with comments not appearing but the only way to tell if our newest coding tweak hasn’t worked, is if you let us know you’ve encountered the problem.